A well-proven treatment technology for textile wastewaters, AAA® drastically reduces the chemical consumption and sludge generation, while ensuring consistency in treated effluent quality as compared to conventional treatment processes. AAA® technology is a highly successful innovation from A.T.E. that enhances biological treatment efficiency, reduces colour and minimises sludge generation for textile industry wastewaters. 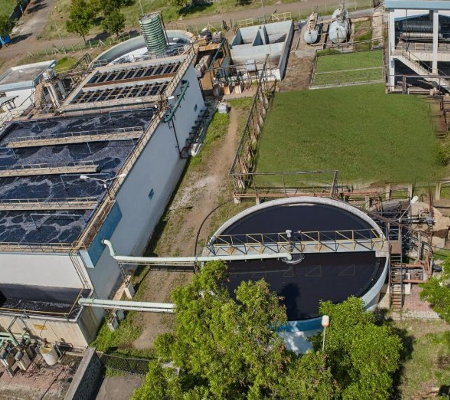 The technology reduces chemical consumption and sludge generation by almost 70% compared to the conventional treatment process and gives consistent treated effluent quality.